World renowned Waddingtons Number 1 Playing Cards have been the choice of card players for generations. 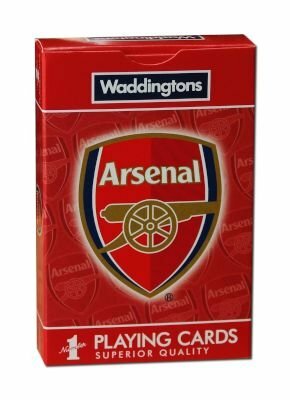 Now fans can play their favourite card games along with their beloved heroes of the pitch with the special set of Waddingtons Number 1 Playing Cards. Each individual card will be adorned with one of Arsenal's finest. Arsenal have been one of the most successful Premiership teams for decades, so just make sure you don’t let the side down!